Philip Morris International has outsourced IT infrastructure management to Indian services firm Wipro in a five-year deal that will see the tobacco giant’s applications and technology managed from Wipro’s cloud-based management platform. The tobacco company has outsourced a wide range of its infrastructure to Wipro, including management and support for servers, storage, backup and applications infrastructure. Wipro's cloud-based ServiceNXT Operations framework will provision, configure, secure, monitor and manage applications and cloud infrastructure. Existing customers have been able to reduce costs by 30% using ServiceNXT. According to reports, the Wipro outsourcing contract is worth $35m. “[The deal will] support us in strengthening efficiencies, managing costs and being better able to serve and support our workforce around the world,” said Patrick Brunel, CIO at Philip Morris International. The company, whose brands include Marlboro, is the non-US operation of Philip Morris. It sell to 180 countries outside the US and is headquartered in New York City. Wipro said it will work closely with the tobacco firm on a strategic level. “We aim to foster a successful partnership with Philip Morris International and deliver the IT innovation that will support its business needs,” said Srini Pallia, CEO for retail, consumer goods, transportation and government at Wipro. 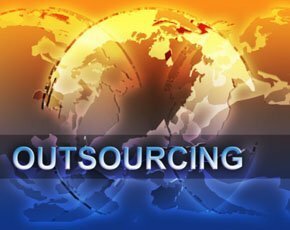 UK manufacturers have not traditionally been big IT outsourcers but, according to figures from NelsonHall and business process outsourcing (BPO) firm Arvato, 132% more was spent by UK manufacturers on outsourcing in the first six months of 2014 compared with the first half of 2013. Two-thirds (66%) of all contracts in the manufacturing sector were first-time agreements. UK manufacturers spent £130m on outsourcing services in the first half of this year, with a big rise in functions being outsourced for the first time.